Ah, the cinema. 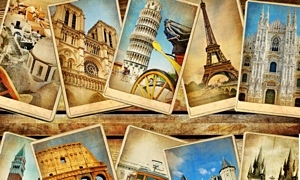 We know so many cliches, certain scenes, and can even quote entire passages of movies. Music in film works the same way. As people who are conditioned through a dominantly visual culture, we tend to remember certain themes alongside certain movie scenes. This subject deserves much more attention! Film composers are often underrated and overlooked, even though they must be versed in all styles of music, from jazz to rock, classical to country. 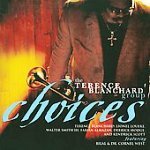 Here are just some film composers that jazz listeners may enjoy. Chinatown. Goldsmith had to have a muse when writing this soundtrack score. First of all, it fits the tone of the film like a glove. The trumpet states the main theme with that certain relaxed swagger that Nicholson carries throughout the film. But there are tinges and traces of vulnerability and sadness within the theme as well...just like Dunaway's character within the plotline. This confusing tale is reflected in the irresistable confusion within the music. Often mentioned as one of the greatest film scores in all of cinema. (Goldsmith also wrote the score to many other wonderful films such as Papillon, Poltergeist, The Omen, and Total Recall ). Those versed in jazz history know that Legrand has worked with many, many jazz giants in his time: Miles Davis, John Coltrane, Bill Evans, Ben Webster, Donald Byrd, Phil Woods, Art Farmer, Herbie Mann, and the list goes on and on. 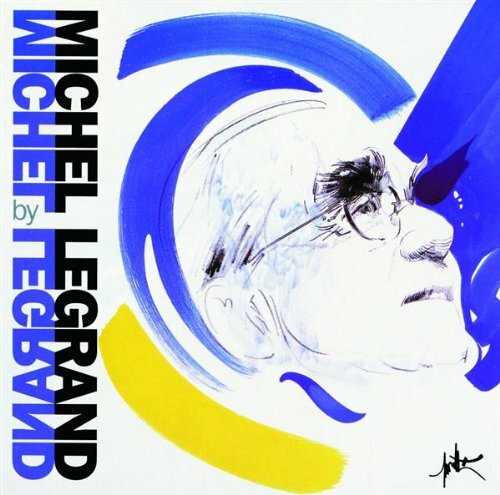 Legrand has scored many films as well, including My Life to Live, A Woman is a Woman, and Band of Outsiders by French New Wave director Jean-Luc Godard. He also scored the music to Varda's Cleo From 5 to 7. 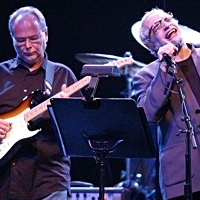 He has also composed such lasting themes as "The Windmills of Your Mind," "Watch What Happens," and "Brian's Song," all of which have been performed by numerous jazz musicians. Definitely worth exploring. 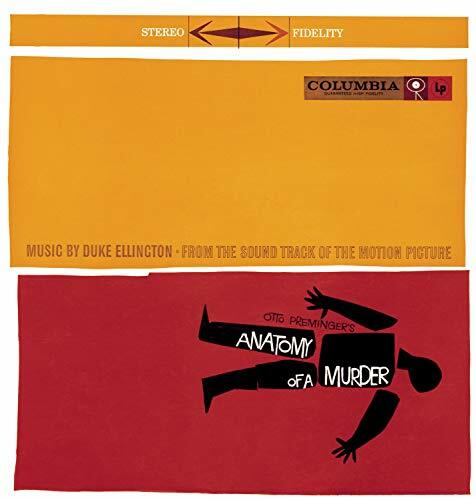 The soundtrack to the Otto Preminger film. Duke makes a cameo appearance, but his music is sensational. 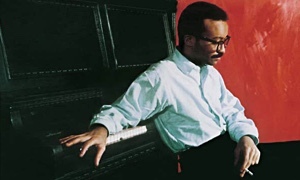 This Ellington / Strayhorn collaboration is one of the hippest soundtracks of all time. For Ellington and Strayhorn to write original compositions for use in a major motion picture was a wonderful development for jazz. Ellington was a compositional genius: Even when presented with the challenge of scoring for film, he took on the challenge and produced wonderful Ellingtonia. If you love jazz, then you need to check this out. Mancini was a melodic master. That's all there is to it! His song "Moon River" was featured in the film Breakfast at Tiffany's which he also scored. He also composed the theme to The Pink Panther as well as Charade for the Stanley Donnen film starring Cary Grant and Audrey Hepburn, which he fully scored. 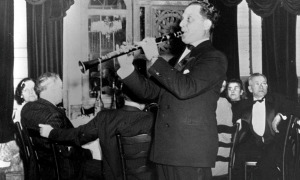 Many of his compositions, such as "Days of Wine and Roses" and "Moment to Moment," have become jazz standards. Films he scored such as Experiment in Terror have their own special appeal. Not to mention Peter Gunn, Hatari!, and Mr. Lucky, all of which have their own special place with listeners all over the world. His list of accolades would be endless. This is just the surface. Herrmann is a rare genius that only happens so often. Stark originality and impeccable timing are the gifts he brings to film music. 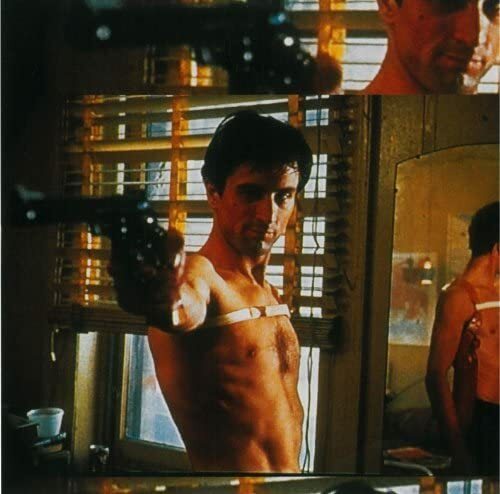 Most jazz listeners will enjoy his film score to Taxi Driver starring Robert DeNiro. Like Goldsmith, he captures the essence of the characters within the music. Herrmann captures DeNiro's character in his creepy, poignant music. Herrmann's other musical feats include the music to Alfred Hitchcock's Vertigo and the shreiking music to Psycho. A musical chameleon, Morricone can fit music to any type of film and make it memorable, mesmerizing, and melodic all at the same time. He wrote the memorable tunes we all whistle from the spaghetti westerns of Sergio Leone: The Good, the Bad, and the Ugly, A Fistful of Dollars, and Once Upon a Time in the West pop into mind automatically. But Morricone also composed the music for The Sicilian Clan, The Exorcist II: The Heretic, The Untouchables, Cinema Paradiso, and Bugsy. His classic film score work is resurrected in current films today, most notably the Kill Bill epic by director Quentin Tarantino. Morricone's music is a huge influence to musicians everywhere, from John Zorn to Yo Yo Ma. 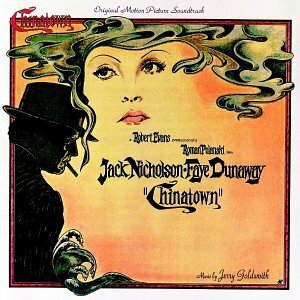 An unsung master of film scoring and a great jazz musician as well. His albums Miles Remembered: In a Silent Way Project and Blue Sun are nothing to laugh about. In The Cooler, Isham delivers the essentials for a great film score, as the film itself gives way to a romance that could only be accentuated with a truly great jazz touch. Isham has also scored other major motion pictures including The Majestic, Blade, Nell, and A River Runs Through It. Isham has recived plenty of awards, but in a world that too often can't see past the likes of John Williams and James Horner, truly talented artists like Isham simply don't receive enough credit. For more info, check out www.isham.com. Amazing! From this perspective, he truly puts me at a loss for words. 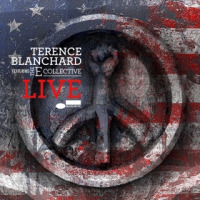 One of the most well known jazz musicians in the current jazz scene, Blanchard has played with Art Blakey and the Jazz Messengers and alongside other contemporary greats such as Donald Harrison, Ravi Coltrane, Kenny Kirkland, and Steve Turre. 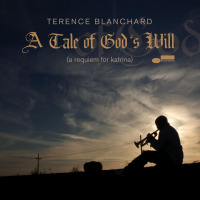 But few know of Blanchard's serious committment to film music. In Clockers, Blanchard gives us poignant, unforgettable, urban-tinged, jazz that will stand the test of time. He has also scored such classic pictures as Jungle Fever, Malcolm X, Original Sin and Barbershop. 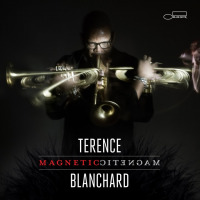 Blanchard is the epitome of what a great well-rounded musician should be: Well-sculpted jazz projects, a thorough tour schedule, music educator, and film score composer he excels in them all with class, grace, and passion. 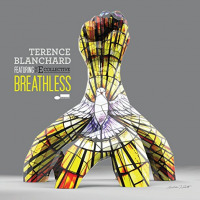 For more info, check out www.terenceblanchard.com. 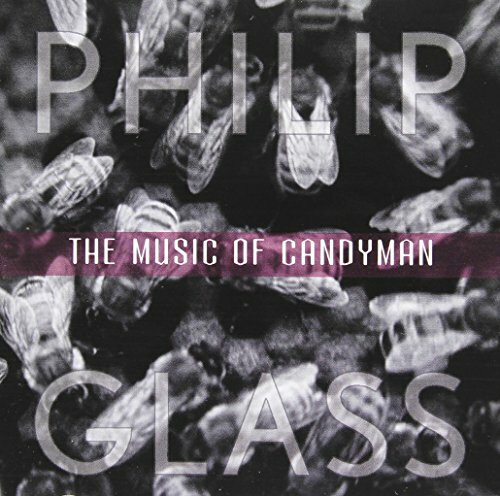 Generally known as a contemporary minimalist composer, Glass demonstrates a quirky aesthetic side with The Music of Candyman. This may indeed be the furthest stretch for the typical jazz fanatic, but one guaranteed to send chills down your spine. Glass should not only be known as a minimalist mastermind but for his fantastic film scores. In addition to Candyman, he has also written scores to Kundun, The Hours and the original music for the restored motion picture of Dracula starring Bela Lugosi which features the Kronos Quartet. Good stuff! 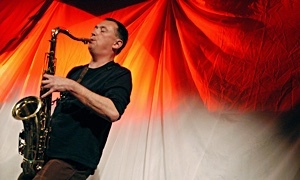 John Zorn is one of the few musicians who can be called a "master of all trades." An experimental and classical composer, Zorn also leads the group Masada, has lead the group Naked City, serves in the powerhouse trio called Painkiller, and is the composer of avant-garde game pieces such as "Cobra" and "Xu Feng." Besides all of those accolades, he is also a serious film score composer. This particular installment features his work for the dark comedy Invitation to a Suicide. Filled with jazz-tinged waltzes, jazz combo groups, and intense arrangements throughout, jazz fans will dig this particular filmwork of Zorn's. Film score composers present a gift that few ever even consider. 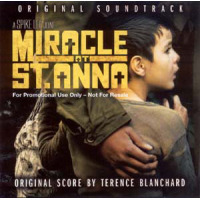 So for the music's sake, check out some of these great film scores by these terrific composers. Other "more-than-honorable mentions" include Krystopf Komeda (Rosemary's Baby), Wojciech Kilar ( The Ninth Gate, Bram Stoker's Dracula), Yann Tiersen ( Amelie, Goodbye Lenin ), Jon Brion ( I (heart) Huckabees, Magnolia , Eternal Sunshine of the Spotless Mind), and Nino Rota (The Godfather, La Dolce Vita, and Amarcord). 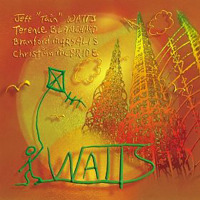 Enjoy this great music!